and decide for youself. Many more videos are out there. What is being sprayed over us ? BusyBody... got your name on thisone. Chemtrails are real....Not conspiracy stuff though....science stuff. MOSCOW (Reuters) - Russian air force planes dropped a 25-kg (55-lb) sack of cement on a suburban Moscow home last week while seeding clouds to prevent rain from spoiling a holiday, Russian media said on Tuesday. "A pack of cement used in creating ... good weather in the capital region ... failed to pulverize completely at high altitude and fell on the roof of a house, making a hole about 80 More..-100 cm (2.5-3 ft)," police in Naro-Fominsk told agency RIA-Novosti. Ahead of major public holidays the Russian Air Force often dispatches up to 12 cargo planes carrying loads of silver iodide, liquid nitrogen and cement powder to seed clouds above Moscow and empty the skies of moisture. A spokesman for the Russian Air Force refused to comment. June 12 was Russia Day, a patriotic holiday celebrating the country's independence after the break-up of the Soviet Union. Weather specialists said the cement's failure to turn to powder was the first hiccup in 20 years. The homeowner was not injured, but refused an offer of 50,000 roubles ($2,100) from the air force, saying she would sue for damages and compensation for moral suffering, Interfax said. 10 years...will post more info later. I have a hard time with youtube as a news source. I could make a video, say ANYTHING I wanted to, and post it on youtube. Then everyone would believe it, just because it was on youtube? I'm going to make a video that says the government is NOT out to get us, then hopefully that will put everyone's mind at ease. Or perhaps this milne1990 person really knows what is going on and the rest of us are idiots? If "weather control" were really possible why don't we have BETTER WEATHER? SOS, google the topic. It's real. Youtube has video where I'm sure I could find elsewhere but it's there in all of its colour for you to see and absorb. milne1990 person really knows what is going on and the rest of us are idiots? You're not an idiot anymore! Now you KNOW! Did you read the reuters article? The point is they ARE SPRAYING. It's up to you to decide if it's for our good or not. I googled it. Not surprisingly I found lots of stuff about it also lots of stuff about the conspiracy theory and research that has been done showing its not true. So its one of those things where you have to decide who/what to believe. Assuming drugging the population is the purpose, the people behind the conspiracy would breathe the same air the population breathes, so any harm inflicted on the population would also be inflicted on those in charge of the conspiracy. IMHO if our trusted goverment was trying to do us in this way,you would likely see some black helicopters up close and in person... you know like crop dusting. I googled in response to IK's suggestion, not because I think googling something is the end all of research. I'm a skeptic - about this and many other things. Oh good grief. I live in a place that could be described as definitely not a population area and see these things all the time. So someone is wasting a great deal of whatever it is trying to "get" me. It seems more likely that this is just another conspiracy theory, now that the 911 and anti-Holocaust ones seem to have run their course. Of course, I could be wrong.....but I doubt it. Lookout Jessica...they're out to get you!! Currently, scientists appear to be primarily looking at reducing the greenhouse effect of carbon dioxide in order to control the amount of atmospheric heating the earth is experiencing. While this approach tackles the problem head on, perhaps we should also be looking at ways of limiting the amount of atmospheric heating we are presently receiving from the sun. While clouds act much like a greenhouse, limiting the amount of heat the earth radiates back into space, they also reflect about ninety percent of the insolation striking their upper surface back into space. So even taking the green house effect in to account a layer of the atmosphere consistently lying under a cloud mass tends to experience an overall temperature drop. Consequently I believe that global warming might partly be reduced by creating large layers of artificially produced clouds. Now I know the reader is immediately concluding that this is some sort of rainmaker’s pipe dream. You are right; it is a pipe dream, only it is a dream with a difference! The largest untapped reserve of energy in the world is the heat we have in our oceans. Unlike petroleum or even uranium the supply of this heat energy is not only unlimited, it is being daily renewed. Hurricanes, tornadoes and ocean currents are vivid examples of its potential. Every gram of water vapor escaping from our oceans carries with it over 1700 calories of heat. This energy can be harvested. Not only can it be harvested, but at the same time the process is being used to transform the oceans heat energy into electricity, it will also produce large areas of cloud. And as the process will work most effectively in the equatorial regions; the clouds will be produced where they will have the greatest effect on global temperatures. Imagine a tropical bay in close proximity to a 1500+ meter mountain perhaps in the Baha, Venezuela, Indonesia, Borneo, Clebes or New Guinea . By constructing a gigantic (500+ Ha.) greenhouse-like, floating saturated air-catchment structure, warm, moist energy ladened, unstable air can be produced and collected. This supersaturated air can then be drawn from the greenhouse into a penstock like pipe constructed up the side of the nearby mountain. The air would initially be pulled upward through the inverted penstock by a powered turbine located near the top. The turbine at the top would draw the air upward commencing the circulatory (tornado-like) motion needed to trigger the unstable air mass into releasing its heat energy. I hypothesize that once the rising action is commenced, the lower pressure in the pipe created by the expanding, circulating, rising air may even produce temperature drops sufficient to initiate, condensation. Regardless the heat released by the condensing water droplets would cause the unstable air to further expand and rise. 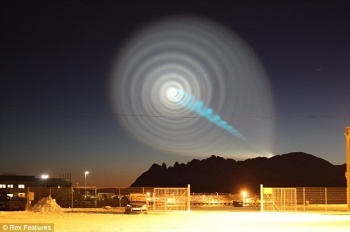 The upward motion of this unstable air would then be used to drive the turbine and produce electricity. The resulting action in the pipe would be very similar if not almost identical to the process observed in a tornado. If the air supply being drawn in at the bottom is supersaturated, the tornado-like process in the inverted penstock might even produce precipitation and fresh water. At a minimum it would produce an upward wind needed to drive the turbine to produce electricity similar to that done on present day wind farms. And further, this unstable air would continue to rise higher into atmosphere producing a layer of cloud. One can only imagine the leavening effect that 50 or so of these projects each producing a large band of cloud reflecting the sun’s insolation back into space might have on the temperature of the tropical area in which they are located. I am confident this idea is more than just a pipe dream. What is needed now is an analysis of the thermodynamics, meteorology/climatology, cost/benefit aspects of the concept. Hopefully, Master of Engineering student somewhere can be encouraged to carry out investigations in the various aspects of the process to either affirm or disprove the idea’s feasibility. We are breathing "it"....And it ain't black helicopter exhaust! Hair, that's just another fine example of humans "pissin" in the wind, which they do with some regularity and alacrity. humans "pissin" in the wind, which they do with some regularity and alacrity. Those dawgone humans just happen to be using arro-planes. Interests:Summering in langoon and wearing meat helmets. I’m still trying to come to an opinion on this one. I have seen photos of crisscross patterns those were obviously made for a reason maybe to hide something from a satellite? I have seen some trails from planes disappear right away and some linger and become clouds. I do not know enough to know if that is natural or not. I know we have been cloud seeding for sometime. There have been reports that since the outbreak of the plague in the Ukraine that there has been a lot of spraying activity but I can not confirm that anywhere. Contrail VS. chemtrail that is the question. I found some info that said that the amount of time contrails linger has to do with weather conditions - humidity, temp, wind shear, etc. Makes sense to me. the house must have been totaly destroyed! AND here's the Pentagon's Paper called "Owning The Weather By 2025". It's plain to see there is something going on. China's air force is gearing up for its biggest ever assault on the clouds to ensure blue skies above Beijing for the 60th anniversary of communist party rule, local media reported today. Eighteen cloud-seeding aircraft and 48 fog-dispersal vehicles are on stand-by to intercept rainclouds that threaten to cast a shadow over the festivities, which will include the biggest display of military power in at least 10 years. The weather modification could exceed the huge cloudbusting operation for the opening ceremony of the Olympic games last year, when more than 1,100 rain-dispersal rockets were fired into the sky. "It is the first time in Chinese history that artificial weather modification on such a large scale has been attempted," said Cui Lianqing, an air force meteorologist, speaking to the Global Times newspaper. Meteorologists will coordinate the mission using satellite data. The Beijing Weather Modification Office will supplement the air force's campaign with rockets and planes that load the clouds with silver iodide or liquid nitrogen — dry ice — to induce precipitation above reservoirs and rivers. China has the world's most extensive rain creation infrastructure, employing about 50,000 people nationwide. Their job is usually to alleviate droughts in the arid north of the country. For national day they would have to encourage rain to fall from clouds before they reached Beijing. The National Day events mark the founding of the People's Republic of China on 1 October, 1949. The communist party wants to use the occasion to showcase its achievements since Mao Zedong took power. firework display and fly past by air force jets. Smog is another concern. Although air pollution has eased since the Olympics, when more than 100 factories were relocated and restrictions were imposed on cars, the Beijing authorities are taking no chances. Environment officials have said they will inspect construction sites, regulate coal-burning facilities and impose extra restrictions on vehicles with high levels of exhaust fumes. Inner Mongolia, Henan, Hebei and other neighbouring regions that host large-scale industrial parks have agreed to cooperate in reducing emissions ahead of the anniversary. Fearing a major pollution incident might dampen the festive mood, the Ministry of Environmental Protection has mounted a week-long inspection of areas where accidents often happen or where dangerous chemicals are produced. Water supplies are being checked more stringently than usual. Some of the security measures have frustrated many Beijingers. During rehearsals in recent weeks, residents along the route of the parade were instructed not to go on to their balconies or take pictures of tanks and other vehicles. The authorities have banned the sale of knives in supermarkets and declared a no-fly zone for kites and racing pigeons. Whether non-compliant birds will suffer the same fate as wandering clouds has not been revealed. Ten years after taking power, Mao Zedong declared a war on nature, including a disastrous campaign to eradicate sparrows, and a commitment to induce rain. "Manmade rain is very important. I hope the meteorological experts do their utmost to make it work," he said. weather," Cui told the Global Times. Past records suggest there is a 30% chance of rain on October 1, it said. huge secrets of the world....Now it's just every day normal news. also interested in making some "Climate change" ON PURPOSE! And blame it on cars etc..
Moscow officials have already chased away clouds on public holidays. Now they're considering cloud seeding to keep snow-removal costs down in the winter. Neighboring towns may get dumped on. In the snow-hushed woods on Moscow's northern edge, scientists are decades deep into research on bending the weather to their will. They've been at it since Soviet dictator Josef Stalin paused long enough in the throes of World War II to found an observatory dedicated to tampering with climatic inconveniences. Since then, they've melted away fog, dissipated the radioactive fallout from Chernobyl and called down rains fierce enough to drown unborn locusts threatening the distant northeastern grasslands. Now they're poised to battle the most inevitable and emblematic force of Russian winter: the snow. Moscow's government, led by powerful and long-reigning Mayor Yuri Luzhkov, has indicated that clearing the capital's streets of snow is simply too expensive. Instead, officials are weighing a plan to seed the clouds with liquid nitrogen or dry ice to keep heavy snow from falling inside the city limits. Word of the proposal has sent a shudder through Moscow just as the first dark, snowy days have fallen on the capital. It has also piqued the surrounding region, which would receive the brunt of the displaced snowfall, and has raised concerns among ecologists. "I was very surprised because [the mayor] never even asked us," says Alexei Yablokov, who sits on the mayor's ecological council and has concerns about the proposal, including the environmental effects and pressure on surrounding villages. "We never discussed it at all." The city government says it still hasn't reached a decision. But scientists at the Central Aerological Observatory say they are deep into negotiations with authorities and expect the cloud-seeding plan to go forward. The city has hit upon a splendid idea, the scientists say. Laboring against the uncomfortable sense that their observatory's import has waned since its Soviet heyday, they are eager to unleash their many and various technologies. They already seed the clouds for political effect, clearing the skies over Moscow twice a year to ensure sun-drenched celebrations of patriotic holidays. In Russia, nobody rains on the parade -- because the Russian government doesn't allow it. "Victory Day is the most sacred holiday for us," says Bagrat Danilian, deputy chief of cloud seeding at the observatory. "When veterans go out to celebrate in Moscow, we create good weather for them." All it takes, he says, is sacks of cement -- 500-grade, to be precise. Drop the powder down into the clouds, and they vanish. Soviet scientists learned how to disperse clouds by accident 40 years ago: They had flown overhead and dropped powdered blue paint into the clouds to tag them for observation. Instead, the powder melted the clouds away. Danilian, 56, a dark-haired, solid man with a quick grin, was born to an Armenian family in Soviet Georgia and studied physics at Tbilisi State University. He moved to Moscow in 1979 to work for the observatory, and has been there ever since. He is nostalgic for the Soviet era of experimentation. In those days, when Danilian was younger and funding more plentiful, he was sent off to Vietnam, Cuba and Syria to study the clouds. He has flown into hurricanes, bounced through airstreams like a pingpong ball and survived lightning strikes on turboprop planes. "You won't find a more interesting profession," he says enthusiastically. "You can't compare it with anything. You just float on your own adrenaline." There is something almost godlike about interfering with the weather. It was a need to rationalize the whims of climate that inspired the notion of deities in ancient times, and there is still an inherent sense of helplessness before nature's force. In much of the world, weather and cloud research is focused on preventing hailstorms, tornadoes, droughts and the like. Not that Russia is the only country that has used it to ensure sunny public holidays. In Beijing, clouds have been chased away from the Olympic ceremonies and other celebrations. But there is a certain nonchalance to the way Russians regard cloud seeding. For a people accustomed to displays of great power, changing the weather draws little interest. "It's true that the attitude here is more positive, of course," says Aleksandr Azarov, senior scientist at the observatory. And why not, he shrugs. "If there's a drought, who wouldn't pray to God for rain to fall?" The cloud seeding is done in moderation, scientists insist. "You shouldn't overstep the threshold over which the weather would change globally," Danilian says. "We're trying to look for that threshold in a very careful way." Sometimes, despite their efforts, nature wins. And in one instance, gravity. As the Russian air force toiled to chase the clouds out of town for last year's independence day celebrations, a clump of cement tumbled to earth instead of dissipating into the clouds. It crashed through the roof of a house on Moscow's outskirts. Rather than accept the $2,000 compensation offered by the military, the homeowner huffed to reporters that she would file suit for "moral suffering." It's unlikely that Muscovites would ever agree to forgo snow altogether. During the long, dark months of winter, the flicker of clean snowflakes against the sky is one of the few recurrent graces, creating a vast playground for children and briefly coating the drab days in sparkling white. But Luzhkov, the mayor, is prepared to choke off any particularly massive snowfalls, which usually unleash battalions of plows, flanked by armies of workers hoisting ice picks and shovels. The city government believes it can save more than $13 million with cloud seeding. "In the movies, the snow looks very beautiful with St. Basil's Cathedral in the background," says Azarov, the senior scientist. "But this snow costs a pretty penny to Moscow authorities." 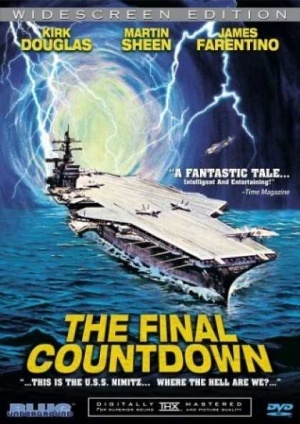 Anyone see that move the final countdown with that hottie Katharine Ross? I think I lately am enjoying Dazed posts after reading that one. Are you trying to mess with the thread now BB?